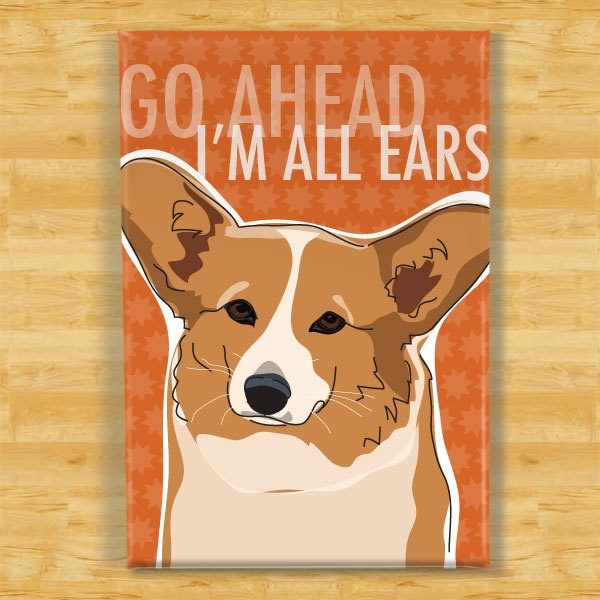 Tags: butts, corgi | Permalink. 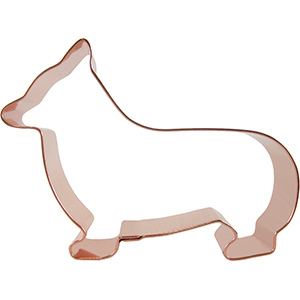 I recently saw some pictures of Corgi gingerbread cookies – so adorable! But it made me wonder where I could find a cookie cutter for the task? I have done the research for you! In the bowl of a stand mixer with a paddle attachment or with a hand-mixer, cream the butter, brown sugar, cinnamon, ginger, and cloves until it resembles thick frosting and no more streaks of butter remain. Scrape down the sides of the bowl, then beat in the molasses followed by the egg. Beat until the molasses and egg are fully incorporated; the batter will be creamy and loose. Whisk together the flour, baking soda, and salt. With the mixer on low speed, beat the flour mixture into the batter until the flour is barely incorporated and just a little flour remains on the sides of the bowl. Stop the mixer and finish mixing in the remaining flour using a stiff spatula. At this point, the dough should be very soft and pliable, but workable, like play-dough. Divide the cookie dough into three pieces. Pat each piece into a disk and wrap in plastic wrap. Chill for at least an hour or as long as overnight. When ready to bake the cookies, heat the oven to 350°F with racks in the top-middle and lower-middle position. Line two baking sheets with parchment. Sprinkle the counter lightly with flour and place one of the unwrapped disks of dough on top. Sprinkle the dough and your rolling pin with a little more flour. Roll out the dough to 1/4- to 1/8-inch thick. Cut out as many cookies as will fit and transfer the cut-out cookies to the baking sheet. If the dough still feels cool, you can re-roll the scraps and cut out more cookies; otherwise pat the scarps into a disk and refrigerate. Continue rolling and cutting the cookies until both cookie sheets are full. Bake the cookies for 8 to 10 minutes, rotating the sheets once halfway through baking. When done, the cookies should feel firm at the edges, be puffed in the middle, and be a slightly toastier shade of brown around the sides. Let the cookies cool for 5 minutes on the baking sheet, then transfer to cooling racks to cool completely. Continue rolling, cutting, and baking the remaining cookie dough; scraps can be re-rolled several times. Decorate the gingerbread cookies. If you’re adding any candies, place these while the frosting is still wet. Let the icing dry for several hours. Once dry, the cookies can be stacked between sheets of parchment in an airtight container and kept at room temperature. The cookies are best when eaten within a week, but will keep for several weeks. Suddenly, fetching a stick became much more difficult for Mighty! We got to meet our daughter’s corgi puppy for the first time this weekend and are already going through withdrawal now that they have left. 😦 But we did manage to snap a few adorable pictures while he was here – not the easiest task to do with a runny, jumpy, rambunctious puppy! These are a few that fit this week’s challenge perfectly! Deck the halls, Mack, deck the halls! I am seeing some pretty Christmas tree ornaments in my future! Click the picture for link to instructions!